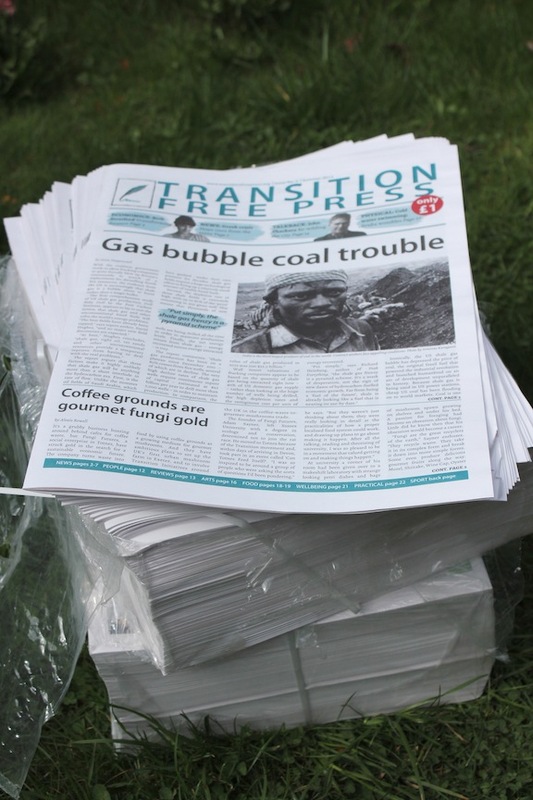 The summer issue of the Transition Free Press, a new quarterly newspaper about environmental and economic issues, has just arrived in Walthamstow. Packed full of thought provoking and inspirational articles, it costs just £1 for 24 pages. As well as giving a unique Transition twist on news and comments upfront in the paper, there is a strong features section at the back of each issue, including articles on arts, community, media, food, foraging, wellbeing, practical projects, book reviews, interviews and new pages on housing and the living earth. The summer issue is available from the Hornbeam Cafe (you can find the display rack just beyond the community noticeboard on the left), and at Transition Walthamstow’s skillshares (8pm on fourth Wednesday each month). Or email transitionwalthamstow@gmail.com to arrange an adhoc collection opportunity. You can find out more about the Transition Free Press here.